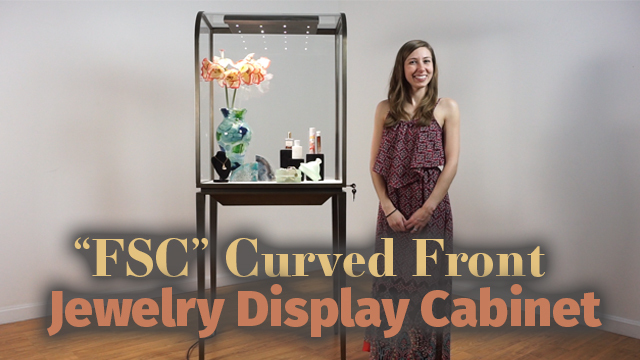 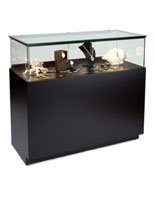 These steel curved jewelry display cases make great showcases for featuring antiques, curios, collectibles and more. 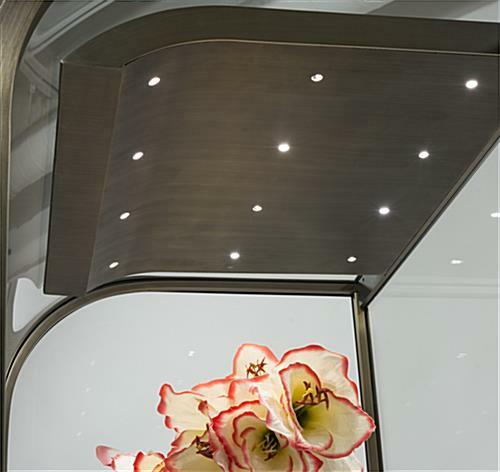 Each of the cabinets is illuminated with LED top lights. 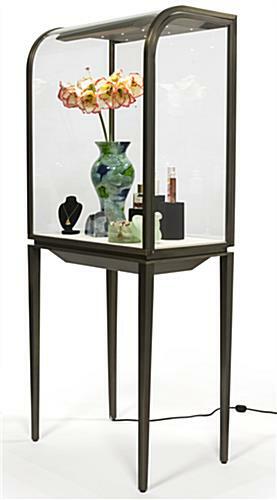 This type of curved jewelry display case is made of durable metal with an attractive lacquer finish that matches any store or gallery. 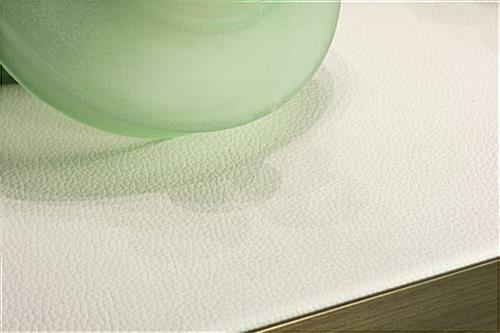 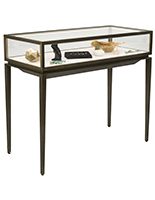 The showcases feature tempered glass panels and a cream leatherette interior for presenting antiques with style. 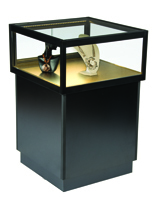 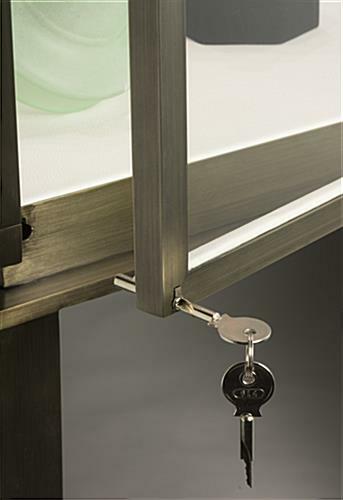 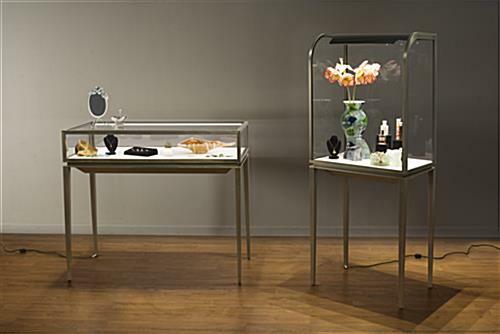 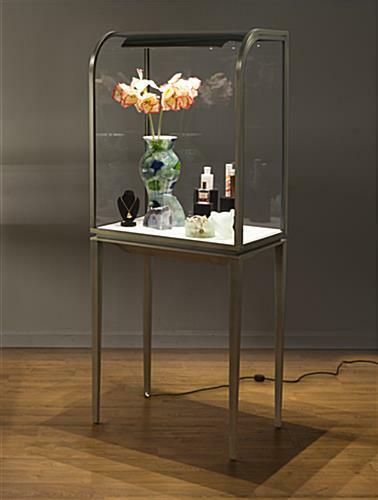 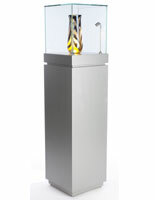 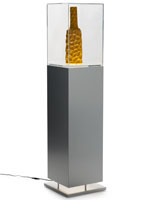 In addition, the illuminated jewelry display cases protect their contents with a locking side door that swings open. 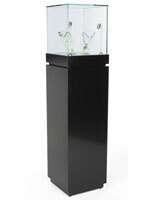 The cabinets with top lights are shipped fully assembled for immediate use. 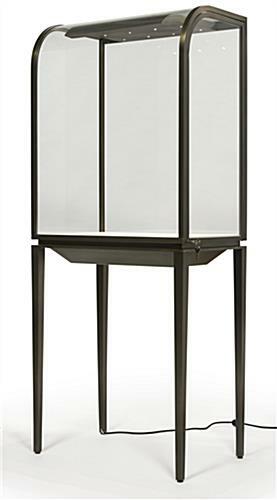 27.5" x 66.4" x 17.8"
25.8" x 31.0" x 16.0"
27.5" x 34.8" x 17.8"